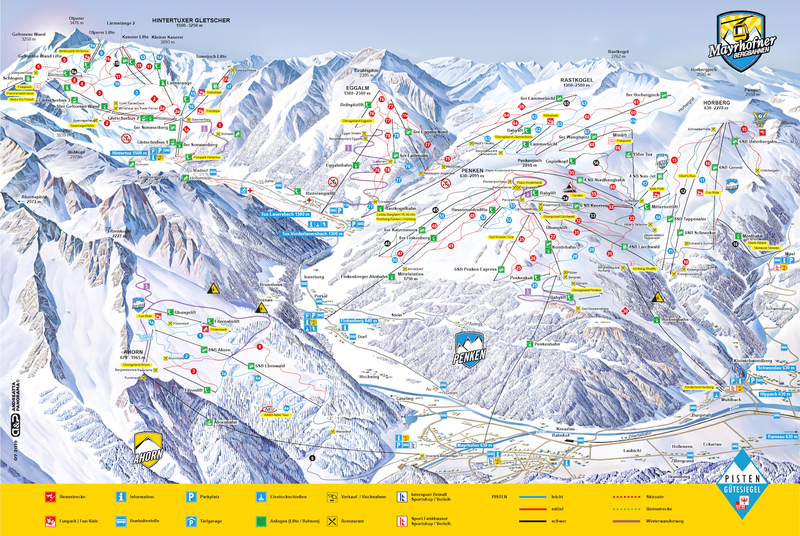 139 km of slopes await skiers and snowboarders at the mountain hills of Mayrhofen. Snow guarantee of course is not an issue. You can choose from a variety of downhill runs, featuring various levels like easy, medium or hard. The steepest drop of all slopes is certainly the black “Harakiri” – the steepest slope experience all over Austria, with a gradient of up to 78%!